Don Broco have really found their feet this year. With the sold out Priorities tour in February, two headline dates in Nottingham and Bristol for Hit The Deck Festival, and an energetic performance on the main stage at Reading and Leeds, they had to finish off the year in style with another sold out tour of the UK. Tonight Don Broco begin a highly anticipated sell out run of shows around the UK in Leeds at the Metropolitan University, and it is safe to say there is a lot of hype around the room as it quickly starts to fill from the moment the doors open. Before Don Broco hit the stage, support came from Lonely The Brave, and Bad Rabbits, who certainly get the crowd dancing with what can only be described as a rather funky and smooth performance. Don Broco soon hit the stage to new single You Wanna Know looking pumped and ready for action, as lead singer Rob Damiani gets the crowd bouncing up and down from front to back, in the packed venue before firing into Whole Truth. Don Broco are know for an energetic performance, and tonight they don’t disappoint, from start to finish Guitarist Simon Delaney and Bassist Tom Doyle are bouncing around the stage like energiser bunnies, barely touching the floor as they spring from one side of the stage to the other. As the set progresses into Thug Workout the band take a moment to break the song down, and get some fans to open up the pit and hit the floor as the well known ‘push up squad’ start a count of push ups, which has become an essential part of the show since an enthusiastic set of fans from Hit The Deck Festival started it out of the blue in 2011. From here on Broco tear through the set made heavily up from the hit album Priorities, which goes down a treat with the crowd with numbers such as Fancy Dress and the explosive Actors to finish off the first part of the set. The Bedford boys return to the stage to start the encore with a slowed down intro of Hold On before kicking it off to get the crowd bouncing again. Tonight’s crowd has been one of the best according to Rob Damiani as he claims they have “set the bar high for the rest of the tour,” which is certainly no understatement with mosh pits, circle pits, crowd surfers and even a couple of walls of death thrown in for good measure. The night comes to a close as the opening riff of Priorities overpowers the room and the band start a synchronised dance across the stage, while the crowd reacts with a full throttle mosh pit to end the night on a high. Four years plus of hard work and constant touring have finally paid off for Don Broco, and deservedly so. 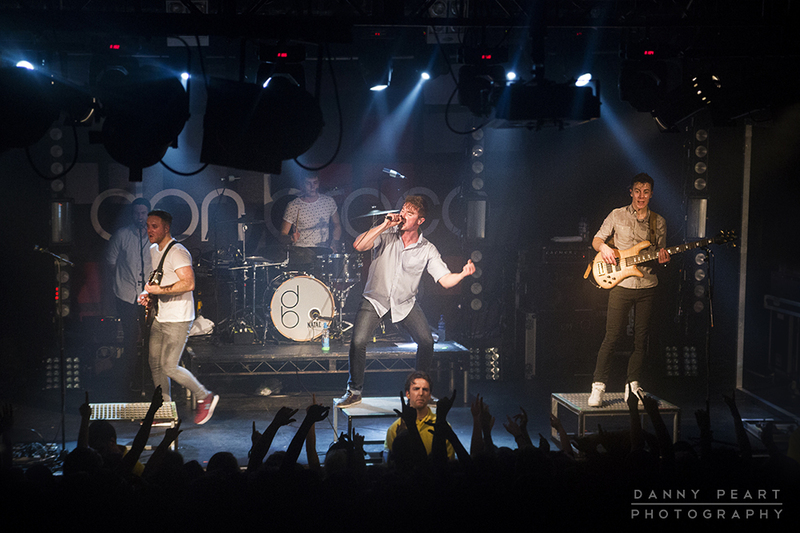 If this year was anything to go by Don Broco could really rule 2014. See more live shots from this show in our Live in Photos section here!